We have established that there a relationship between cancer and the food we eat, in part one of this blog. Did you know that some foods may actually help to prevent cancer and some may evenhelp to kill cancer cells? 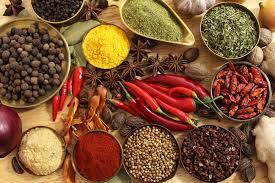 Fruits, vegetables and some spices and herbs contain beneficial compounds called phytochemicals. Here are some nutritious herbs, seasoning and other foods to add into your eating plan, based on current research and theories. Vegetables: broccoli (indol-3-carbinol), cabbage (indol-3-carbinol) and sulforaphanes are in broccoli, broccoli sprouts, Brussels sprouts, and cabbage. Foods that contain flavonoids (antioxidant and anti-inflammatory compounds): berries, green tea, dark chocolate, kale, apples, citrus, onions, broccoli, and hot peppers. Folate (one of the B vitamins): works on our DNA to help prevent cancer. Sources are lentils, pinto beans, garbanzo beans, asparagus, spinach, navy beans, black beans, kidney beans, turnip greens and broccoli. Including as many plant based foods as possible into the diet is encouraged in order to increase the amount of these beneficial compounds consumed. Eating as many plant-based and fresh foods as possible, including all of the colors of the rainbow, will increase those beneficial cancer-kicking phytochemicals in our diet. Research is always discovering new and beneficial compounds in plant foods that appear to work well with other compounds in the food. This can be called a synergistic effect. This is one reason why it is more beneficial to obtain these cancer-preventing phytonutrients from foods instead of obtaining them in supplement form. So next time you eat, aim for including colorful fruits and vegetables and maybe even a piece of dark chocolate! Click here to view Part One of this series. Thank you to AF, Dietetic Intern, 2015, for help with this article.